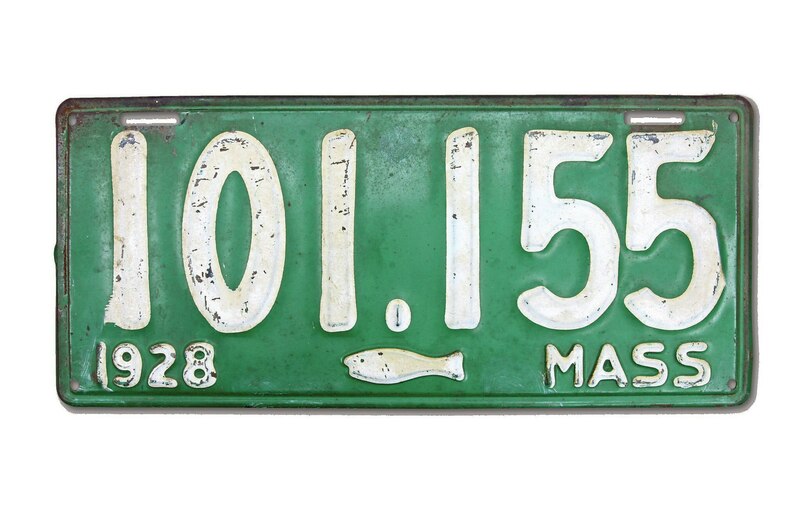 If they were saved at all, license plates used to be decorations that were hung from garage rafters. 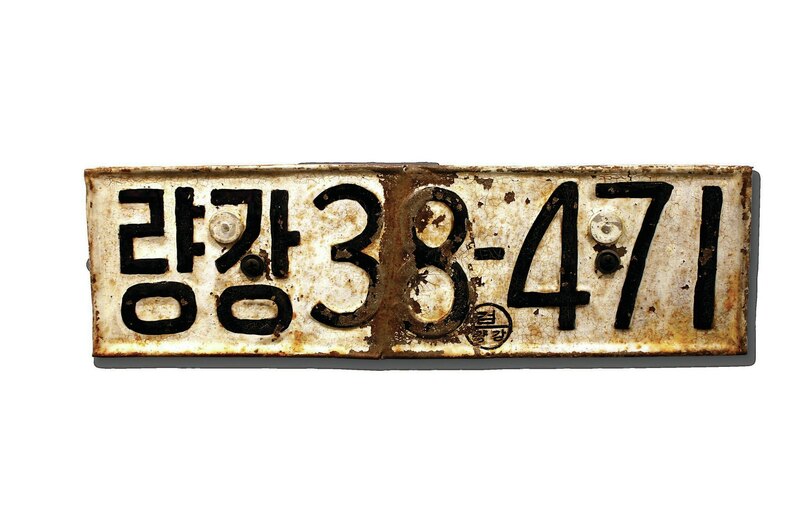 Nearly all of the old ones would have disappeared, if not for the fact that some people just couldn’t bear to toss perfectly good steel or aluminum into the trash. 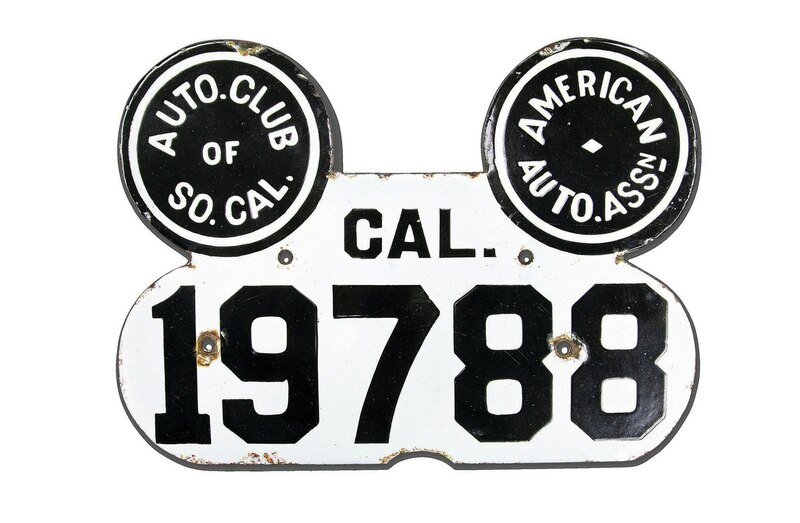 Those artifacts inspired Jeff Minard and about 3000 members of the American License Plate Collectors Association, which actually exists. 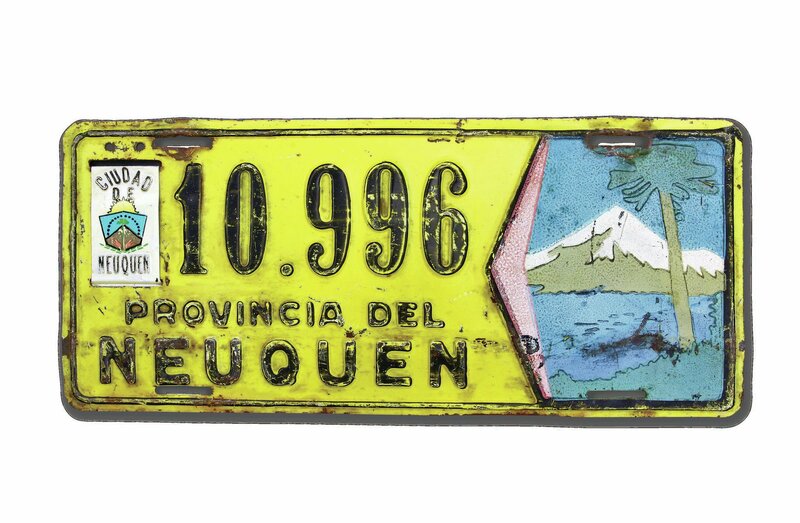 Minard, 66, formerly a coin and stamp collector, has long implored his relatives and friends to save their plates. 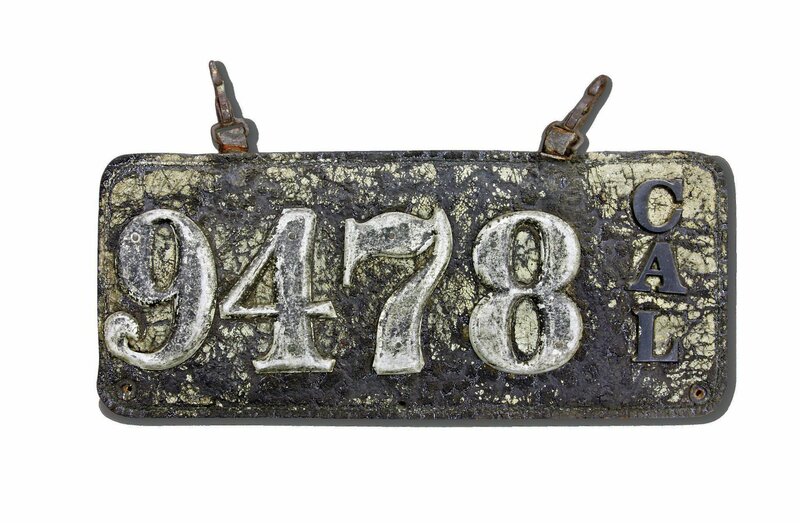 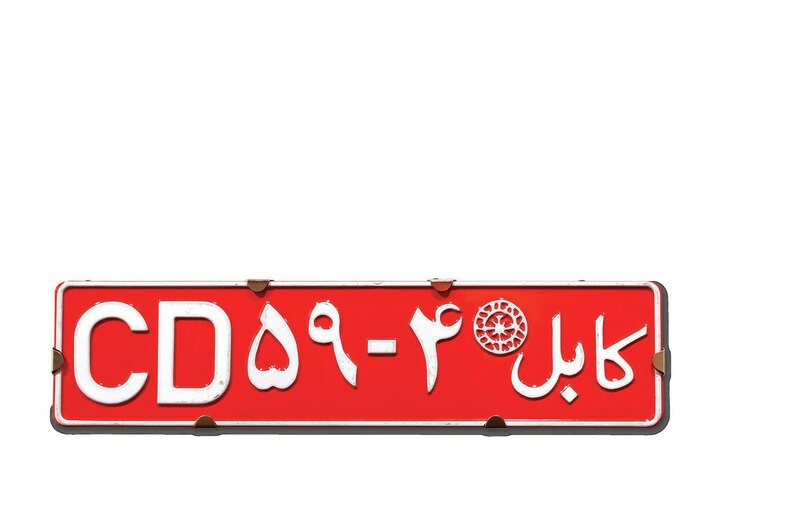 The efforts have resulted in “License Plates: Unlocking the Code,” an exhibition of 220 domestic and international license plates, which runs through December 7 at the Petersen Automotive Museum in Los Angeles. 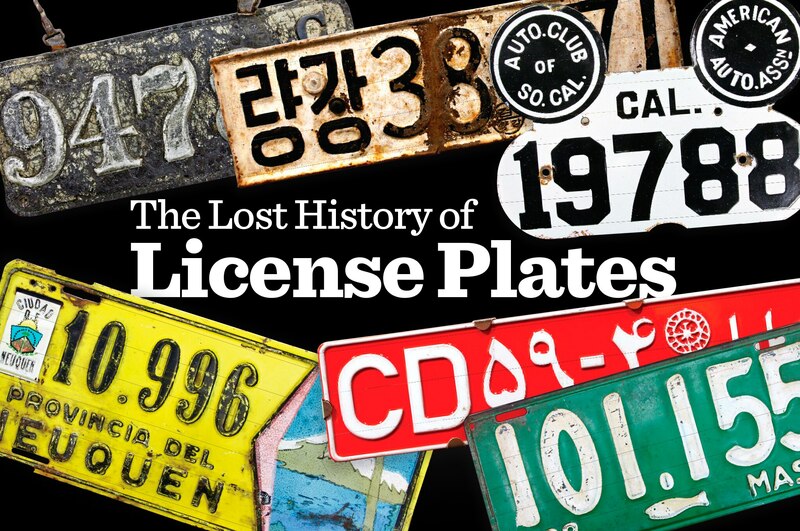 License plates from every state and 43 countries are represented at the Peterson museum’s exhibition.